Beautiful wild rose bush on my walk this morning! And by a lucky fluke I had my macro lens in my camera bag. 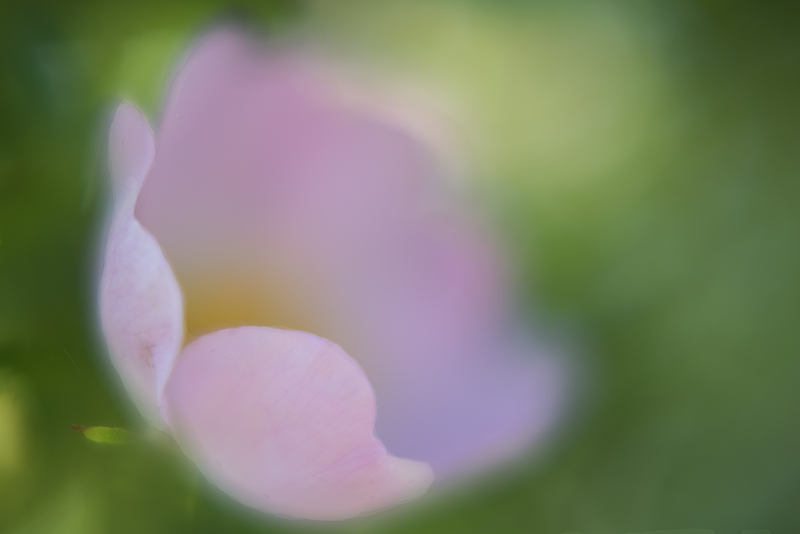 I never carry that lens anymore, so I took it as a sign, and searched for the prettiest flower to photograph. A beautiful soft romantic image. Wild roses will not be blooming for a while here; the old men used to say that when the wild rose blooms it will be six weeks till harvest time. I've taken note in recent years and they are not often wrong. This macro photo was meant to be! Lovely shot.